In most cases, you will be able to use a computer database manager or even a spreadsheet to organize your information. A simple relational database, such as Microsoft Access, may provide satisfactory results. Many database programs exist and I mention Access only because that is what I use. A database is a collection of information, such as variable-star estimates, and a database management system (DBMS) is a tool designed to help you manage the information in your database. A table of information neatly organized into rows and columns is called a relation, and a relational database management system is one that is specifically designed to manage information that's organized into one or more tables. Usually, variable-star data is best organized into a table format and as a result, it is fairly easy to store within a relational database. example, you may want to sort by object to see all of the entries you've made for a particular variable star or by date so that you can find all of the data from one particular date. Maybe you'll wish to sort by variable star type to see how many different classes of variable stars you have been observing. Perhaps you will want to sort by type of data, in other words, whether it's visual, CCD or PEP data. An example of the database table is shown in Table 13.1. 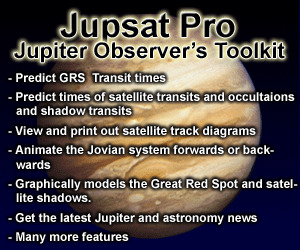 Using this simple method, I can find a particular variable-star estimate or PEP record within my personal observation log or locate one, or more, CCD images stored on a computer ZIP disk or CD. I keep a detailed personal log so in most cases I simply refer to a particular date to find the observational information for a particular star. When looking for data that spans months or years, a database sort will tell me which observation logs I need to get and which date and page to find. When I need to find a CCD image that is stored on a ZIP disk or CD, for example, the database entry tells me which disk holds the image or images. With this uncomplicated method, I can sort my fields by object to find all of my observations made of one particular star or by date, to look at my activity on a particular day. I can sort by variable-star type, to see what kinds of stars I've been observing and I can also sort by the method that I've used to obtain my data: visual, CCD or PEP. When I store my CCD images, I label each digital image using the brightest variable star found on the image, usually the target of my interest. In some cases, the variable in which I'm most interested is not the brightest variable found within the CCD image but I still name the image after the brightest variable star. This method is similar to how AAVSO labels their star charts: using the brightest variable star even though many other variables star can be found on a chart. When I store CCD images that are without a variable star, I use a catalog name for the brightest star as the image label. Galaxy images, used for supernovae hunts, are named by NGC or other catalog name. Individual CCD images are named using the brightest variable star found on the image, followed by the date, then run number, filter type followed by sequence number. For example, a group of six images of W Vir taken on April 1, 2000, during the first run of the evening, using a V-filter, will be labeled: WVIR20000401-1V_000, WVIR20000401-1V_001, WVIR20000401-1V_002, WVIR20000401 -1 V_003, WVIR20000401-1V_004, WVIR 20000401-1V_005. Remember, astronomers use the number zero when recording sequences. Start with zero, not the number one. 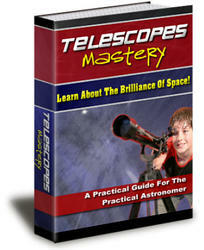 It will keep you consistent with other astronomers. This method allows me to sort my images by object, date, run, filter type and sequence. I also keep a worksheet, prepared using a spreadsheet, for each star that I observe. By doing so, 1 can quickly check all of my observations, spanning years, and prepare a quick light curve or phase diagram. My worksheet includes the star's name, variable class, date/ time of observation, estimated magnitude (when visual) or differential magnitude when using instruments, comparison and check star identification and any relevant notes concerning weather, wind, moon or anything else that I feel is important. When taking PEP measurements, I record the sky background brightness too. This may sound like a lot of work but it isn't. Once it becomes habit, it's easy, quick and you'll really appreciate whatever system you use once you start searching for old observations. I'd guess it takes a few seconds to enter the information for each observation. Much of it is redundant, such as date or star name so simply using a copy and paste operation on my computer eliminates making the same entry more than once. Customizing a menu specifically for your astronomy needs and the use of macros helps too. Programming your computer system to anticipate your needs is a great time saver. The real value of all of this is that I can find any observation or sequence of observations, some made years ago, in about 30 seconds. Develop you own method with your own requirements in-mind, but try and develop your system within the first year of use. After you've been using one method for about a year, changing it is a real pain!